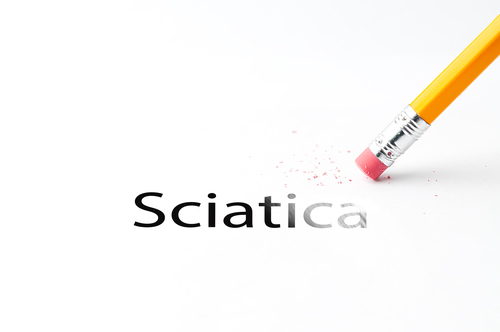 How Chiropractic Helps Those That Suffer from Sciatica – Coberly Chiropractic, Inc.
Sciatica is a common back ailment that affects approximately 1 in 10 adults in the United States. It is most prevalent in people between the ages of 25 and 45. Sciatica is characterized by a shooting pain that originates in the lower back and travels down through the hip, buttock and back of leg. The pain can be so severe that it inhibits mobility and can prevent people from working, taking care of their home, or just enjoying their life. Traditionally, doctors have treated the condition with medications and some invasive therapies, but chiropractic treatments have been found to be extremely effective in alleviating the pain and curing the condition. Sciatica is a condition that affects the lower back, specifically pain that travels along the sciatic nerve path. This path originates in the lower back and extends down each side of the hip, buttocks, and down the leg to the feet. Usually, only one side is affected during a case of sciatica. Sciatica commonly occurs when there is a spinal condition, such as a bone spur on the spine, a herniated disk, or when a condition like spinal stenosis (narrowing of the spine) compresses the nerve. The result is inflammation, numbness, pain, and stiffness in the leg that is affected. While sciatica pain can be severe, the majority of the time the condition is resolved in a matter of weeks without surgical intervention. Some doctors may suggest surgery if the patient experiences extreme weakness in the leg or has problems with their bowel or bladder. Most of the time doctors will prescribe medication to treat the pain and relax the muscles that surround the sciatic path in an effort to provide the patient with some relief. Chiropractic has been shown to be very effective in treating sciatica by helping the body heal itself. It is non-invasive and does not use medications, making it an optimal choice for many patients. There are various treatments that a chiropractor may use or recommend. They may be used alone or in conjunction with other therapies. Adjustments. Spinal manipulation, or adjustments, is the core of chiropractic treatment. It helps to realign the spine, freeing restricted movement and helps bring the body back into its proper alignment so that it functions better and more effectively. It also helps to reduce the pain that is associated with nerve inflammation, particularly that associated with sciatica. Ultrasound. A very mild heat that is created by sound waves at a frequency that is beyond human hearing providing deep tissue penetration. This therapy stimulates circulation and aids in reducing muscle spasms, stiffness, swelling, pain, and cramping. Ice or Cold Therapy. This therapy helps to reduce and control the pain of sciatica, as well as reduce inflammation. TENS. Transcutaneous electrical nerve stimulation is a therapy that employs a TENS unit, a small battery powered, portable box that stimulates the muscles. It uses electrical currents at variable intensities to help control pain and reduce the occurrence of muscle spasms. Some chiropractors and physical therapists use larger versions of this device in their offices, but many use the portable units because they are more convenient. A chiropractor may incorporate exercises and nutritional recommendations into their treatment for sciatica. This often depends on the patient’s individual needs, the severity of the condition, and their lifestyle and habits. A variety of chiropractic techniques may also be used to treat sciatica. Since each patient is different, the chiropractor will talk with the patient to better understand what they do on a day-to-day basis and what may be causing the sciatic pain to occur. From there they will treat the problem from the patient’s perspective, seeking the best, most effective approach. If you or a loved one is suffering from this condition, please give us a call. Our Doctor of Chiropractic is here to help! Designed and Developed by Coberly Web Creations. 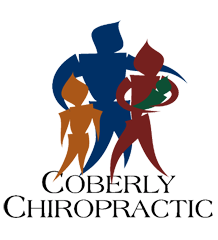 Copyright ©2016 Coberly Chiropractic, Inc. All rights reserved.